They gather around me with bated breath. The air is thick with anticipation and hope.If it all goes as planned, the fruits of my labor will be met with thunderous applause and joyous cheers. High fives and high jumps and quasi-cartwheels all around. Maybe even a little impromptu jig. If it all falls apart (literally), shoulders will slump, and slight groans will replace the cheers. Dissapointed little feet will shuffle back to the table. And once they recover from this let-down, they will do their best to make me feel better. It’s ok Mama. Next time. These are the pressures I face. They crowd in even closer. My audience of two. I place the serving dish over the pot. Inhale. Hold my breath. Tighten up my abs. Chant a little mantra. Flip the pot over. First it’s the triumphant sound of success, the swish sound of the release, as the rice drops from pot to dish. I gently pull the pot up and away and there she is in all her glory – golden and regal – TAHDIG. Merrymaking ensues. Exhale. The Muse of Cooking decided to smile upon me – this time. 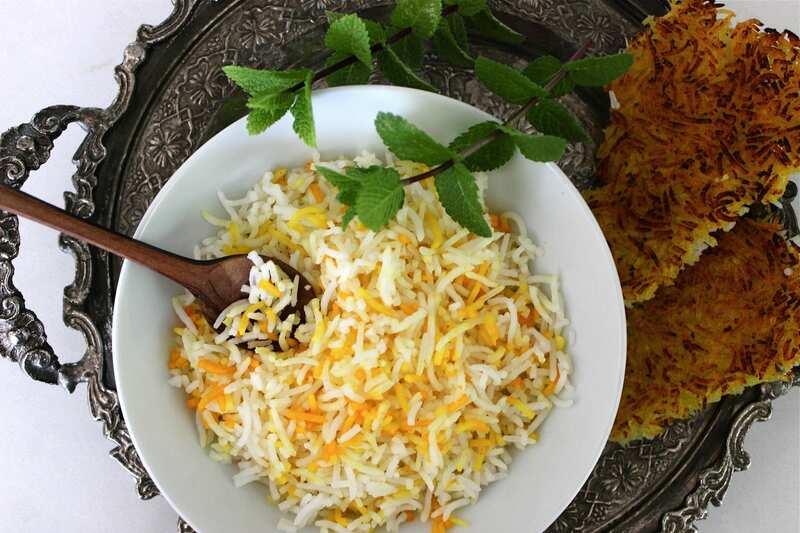 Rice is the crown jewel of Persian cuisine. 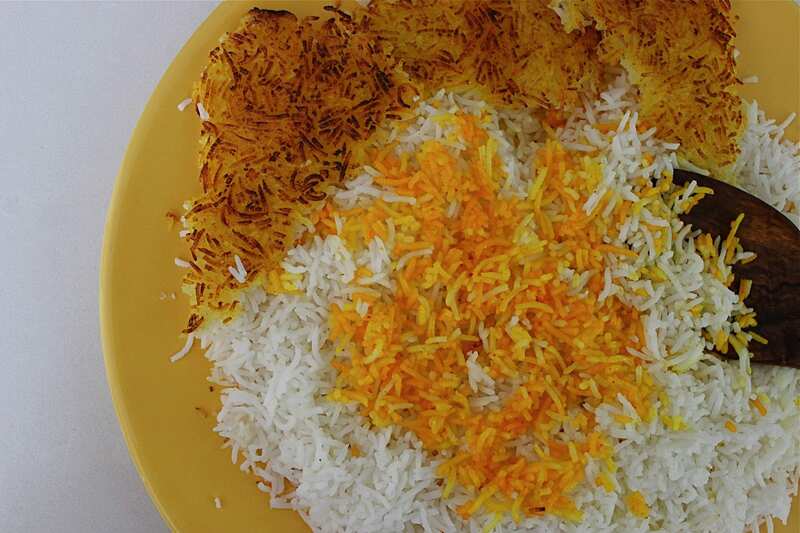 A platter of fragrant saffron-steamed rice is almost always present at the dining table. 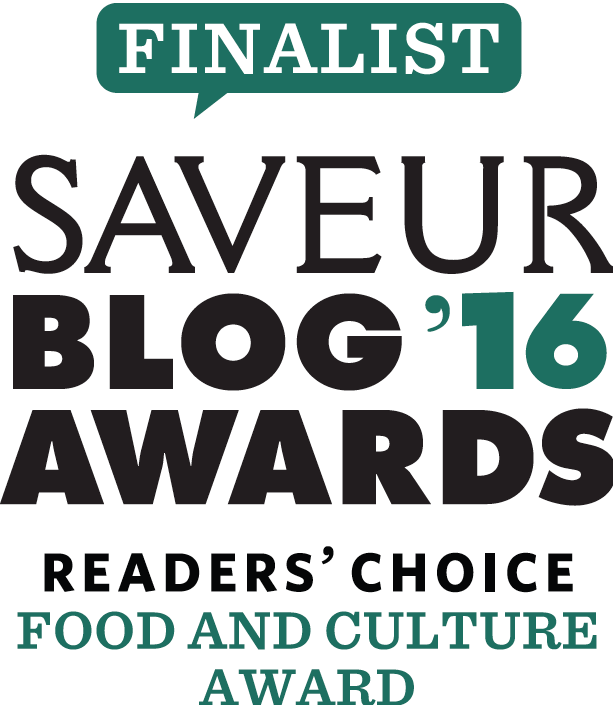 The perfect companion to the many flavorful stews (like celery stew), koo koos and kababs. 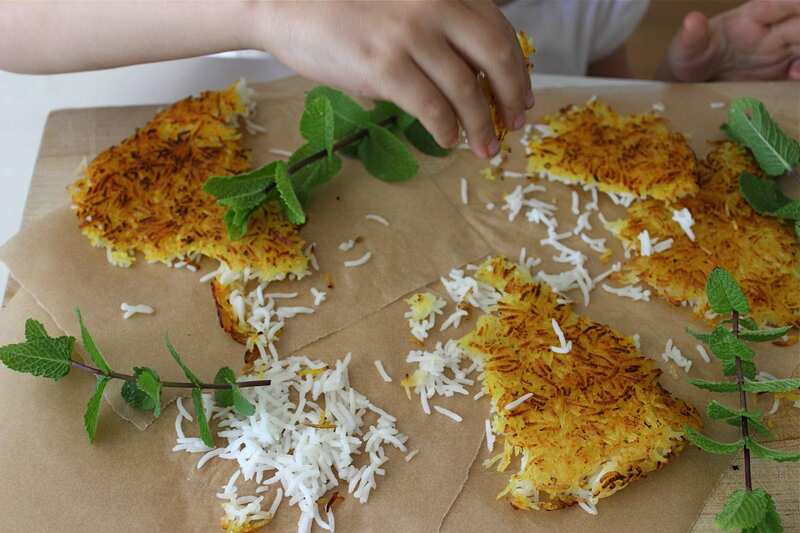 As a child there was nothing more comforting and reassuring as a bowl of polo* ( cooked rice), crunchy tahdig, with mast o khiar and a few sprigs of fresh mint and parsley. * Technically, plain saffron-steamed rice served alongside a stew is called chelo-khoresh. Polo is steamed rice mixed with other ingredients like vegetables and meats. But in our house we refer to all cooked rice as polo. 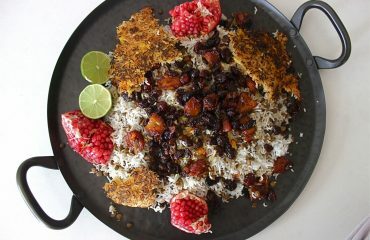 A Persian cook’s reputation rests first and foremost on his or her ability to turn out the perfect pot of fluffy rice and tahdig (pronounced “tah DEEG”). Tahdig literally means the bottom of the pot. 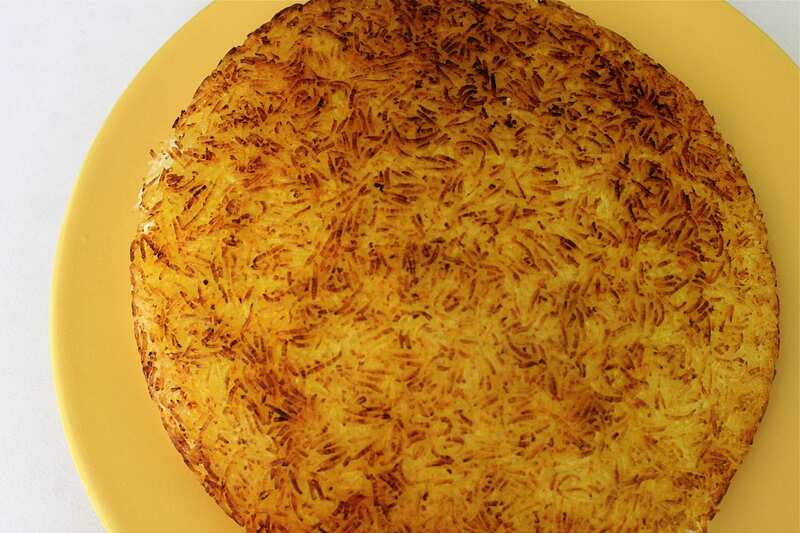 The most common type of tahdig is made with rice (using bread or potatoes is popular as well). 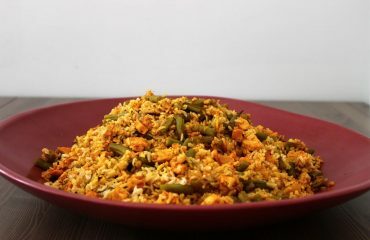 The crispy, golden fried rice, nestled at the bottom of the pot – and the most coveted dish at the table. 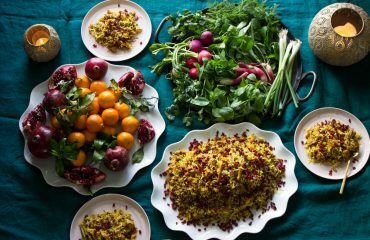 Making Persian rice is truly a creative process. No pot of rice ever turns out exactly the same and a perfect golden tahdig is never assured. But even at it’s most imperfect, it’s as close as one can get to delicious perfection. Really. Every grain of rice should be separate, long, individual, fluffy – and shine on its own. No clumps. No sticking together. Every grain is a jewel. These are the words that echoed in our kitchen as my mom gently, methodically and artistically scattered the steamed rice – the jewels – on a platter. You have to start with a long grain rice. 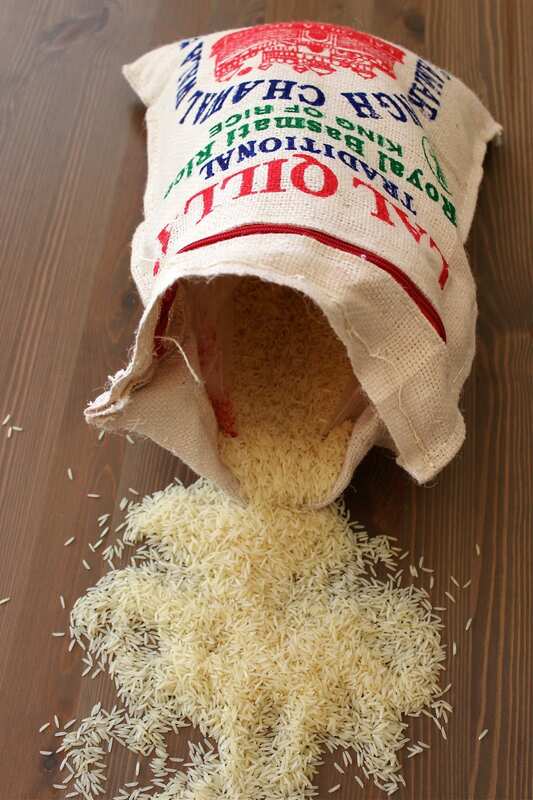 Indian white basmati rice is very similar to the rice enjoyed in Iran. On any given day if you go the Persian market you can overhear the ladies AND gentlemen passionately discussing the merits of one imported basmati brand over the other. I use the Lal Qilla brand (which means committing to a 10lb sack). I have also found the Trader Joe’s white basmati works quite well too. Try a couple of different brands. You’ll get a feel for which will turn out the fluffier rice. Or visit a Persian market and ask. But beware you might get a twenty minute thesis on rice! We are very serious about our rice. I should also mention that we made the switch to brown rice many years ago, for all the obvious nutritional, health conscious, waistline-minded reasons. But there are times when nothing else will suffice but a dish of white saffron-steamed basmati rice. You have to use a non-stick pot or a deep non-stick pan. A well-seasoned cast iron works too. DO NOT USE A STAINLESS STEEL POT. To get the most tahdig, try to use a pot or pan with a flat bottom and one large enough that will give the rice plenty of room to expand. If your pot or pan is too small the rice will clump together. For this recipe I used a pot with a 10″ bottom. If using a pan, make sure you have a lid that will tightly fit it. The zeery – heat diffuser – is used to ensure the tahdig doesn’t burn. If you don’t have one don’t worry about it. It’s just extra insurance. Heat temperatures differ on any given stove. This is where you have to get a feel for your heat source and its relation to your rice. It’s basically knowing when to go from a high heat to a low heat. Here comes the art. You will first par-boil the rice (much like making pasta) so it is al-dente. This also comes down to a feel for knowing when it’s al-dente and ready to drain. It all depends on the quality of the rice you use and how long it has soaked. You want the rice to be soft but still with a bite to it, not completely cooked through. 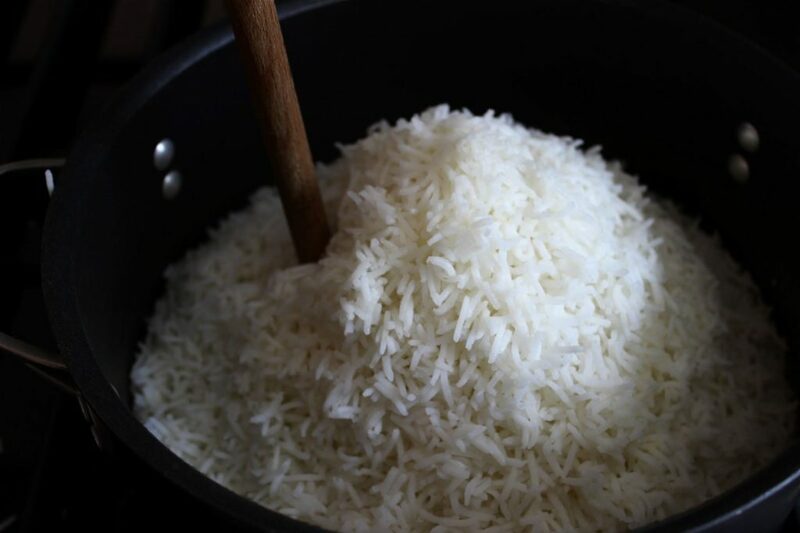 Boil it too long and you’ll end up with clumpy overdone rice; boil it not long enough and your rice will be slightly hard. The second part is the steaming process. There is a dichotomy at play here. As you want to gently steam the rice up top you also want to crisp up the tahdig at the bottom of the pot without burning it. There are two options on how you can serve the rice. First, with a spatula you can gently scatter the fluffy rice onto a serving dish. (No dumping the rice out of the pot onto a dish in one fell swoop. Remember, you are dealing with jewels!) And then gently loosen and remove your tahdig from the bottom of the pot, divide in portions and serve separately. Or, you can place a serving dish big enough to fit over the pot, and carefully but with purpose, flip the pot over. Tahdig still intact. Kind of like a cake. This option has a great “tada” and “wow” appeal. Think of Persian rice as a coy lover. You have to treat her with respect. You have to be patient. You have to know when it’s appropriate to make a move and when to pull back, give her space. You have to seduce her with a gentle touch, poetry and love. And ultimately you have to dive in with complete and utter unbridled passion and abandon. If she turns you down the first time – try, and try, and try again. Because she’s worth it. Really. Please do share and let me know how your rice and tahdig turns out. Were you good to your lover? Was your lover good to you? 1- Place rice in a medium sized mixing bowl. Fill with cold water. 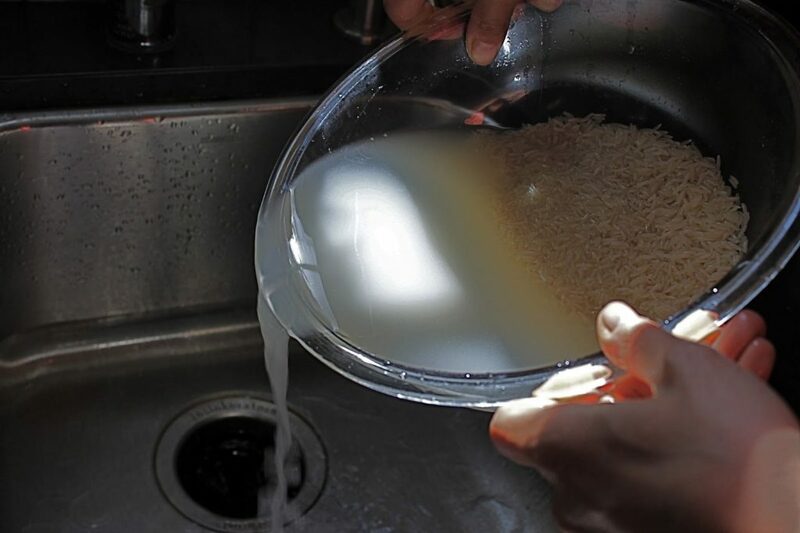 Wash rice in water by gently swirling the rice around in the water. Drain and repeat process about 5 times. Until the water that is rinsed runs clear, not cloudy. 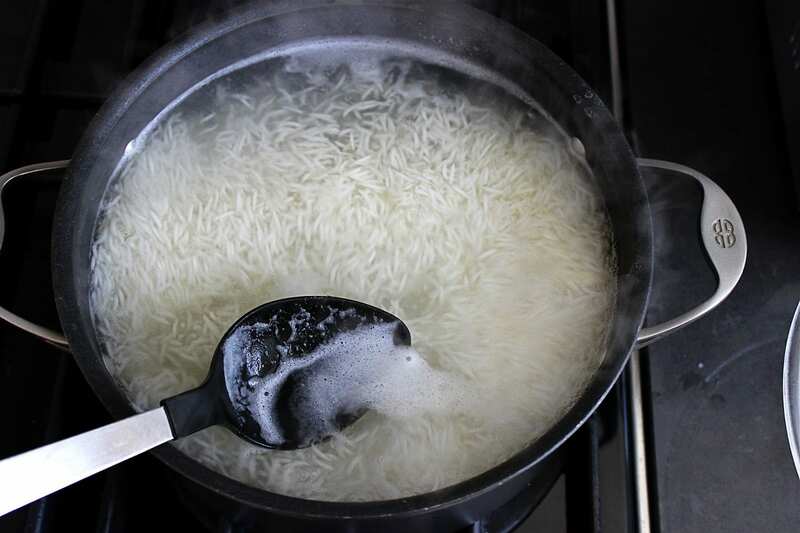 Soak washed rice in 2 cups cold water and 2 tablespoons salt for at least 1 hour. 2- In a large pot bring 10 cups water and remaining 3 tablespoons of salt to a boil. Drain soaked rice. Add the rice to the boiling water and bring back up to a boil. Leave pot uncovered and don’t go anywhere! The water can boil over very easily. With a spoon scoop off any foam that rises to the top. Watch your timer. Start testing your rice after 4 minutes. My rice was al-dente and ready to drain at 5 minutes. It shouldn’t take longer than 6-8 minutes. 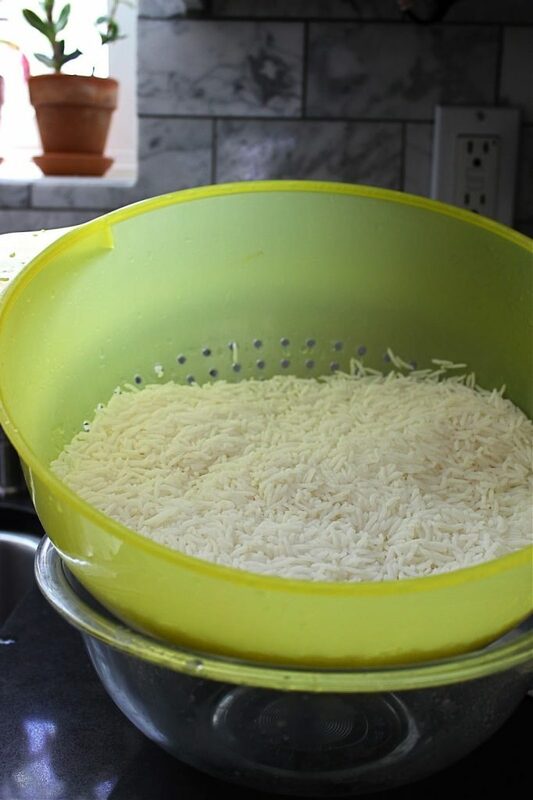 Once al-dente, drain in a colander and quickly rinse the rice under warm water. Make sure your colander’s holes are small enough so you don’t lose any rice. 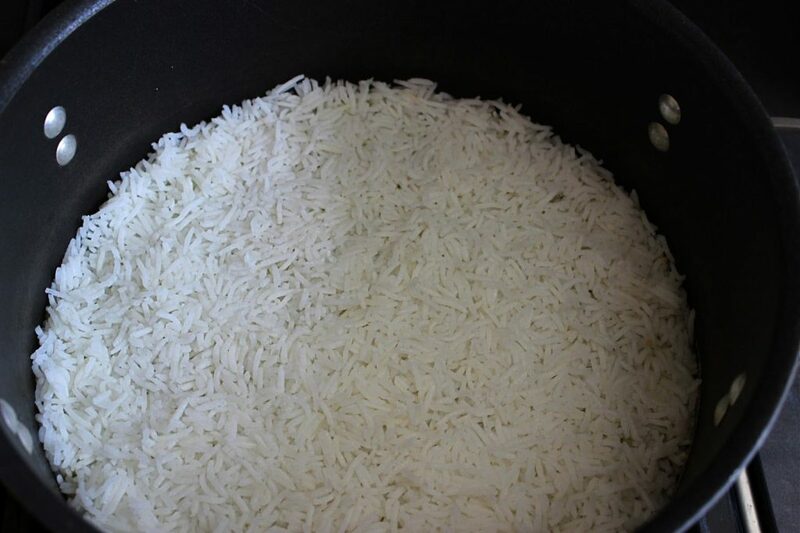 When rinsing the rice under warm water make sure you don’t open a gushing amount of water on the rice. If your faucet has a spray option use that. If not place your hand under the tap and with fingers create a spray. Gentle. 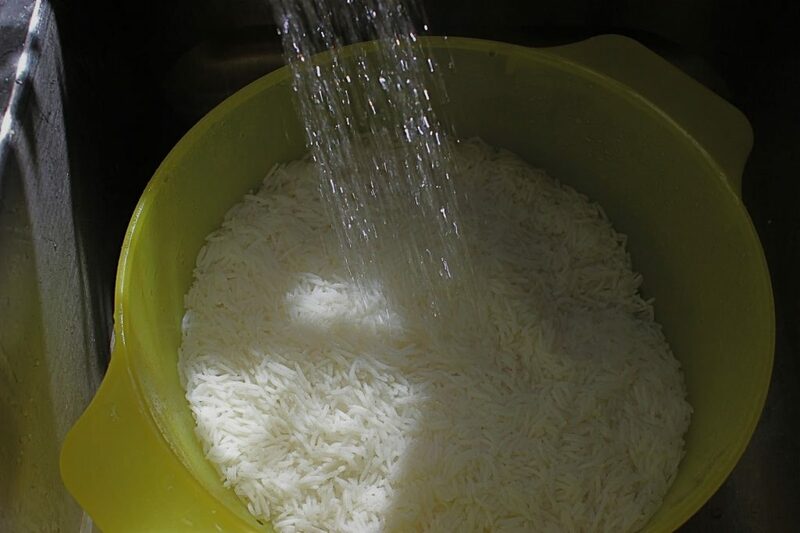 Let rice completely drain off any excess water. 3- In a non-stick pot or pan (if using the same pot you boiled the rice in make sure you wash and dry it first) melt 2 1/2 tablespoons ghee or butter over low heat. If using oil heat the oil over low heat for a couple of minutes. 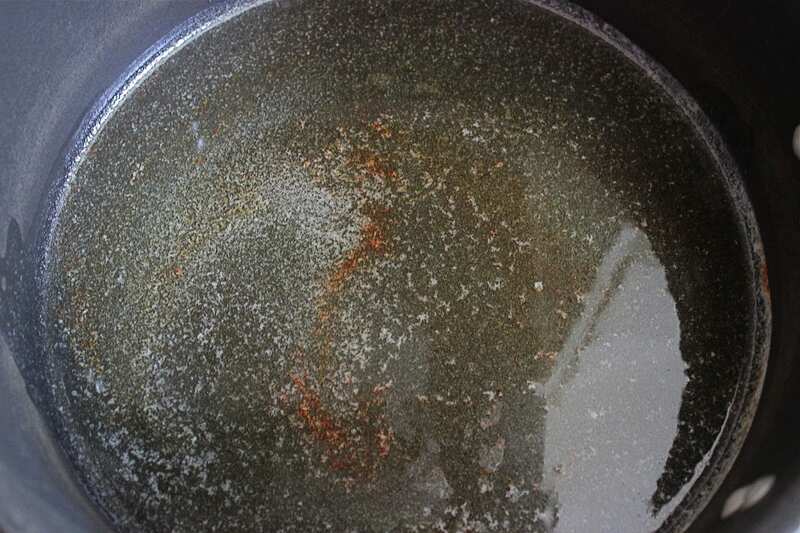 The cooking oil should cover the entire surface of the bottom of the pot. (If your pot is bigger add more oil or butter accordingly) Add a pinch of saffron to the oil. Swirl around. (You want to work fairly quickly here, so the oil at the bottom of the pot doesn’t cool off too much) With a spatula add enough rice to fully cover the bottom of the pot. Using the back of the spatula or the back of a wooden spoon pack down the rice firmly. 4- With a spatula gently scatter the rest of the rice into the pot in the shape of a pyramid. This is to give the rice enough room to expand and lengthen. With the handle of a wooden spoon poke a couple of holes in the rice to allow the steam to escape. Don’t poke all the way down to the tahdig. Drizzle half of the melted butter a 2 tablespoons hot water over the rice. Cover and turn heat up to medium-high. Cook for 10 minutes. 5- Turn the heat down to medium. Lift lid without allowing any of the condensation collected on the lid to drip back in the rice. 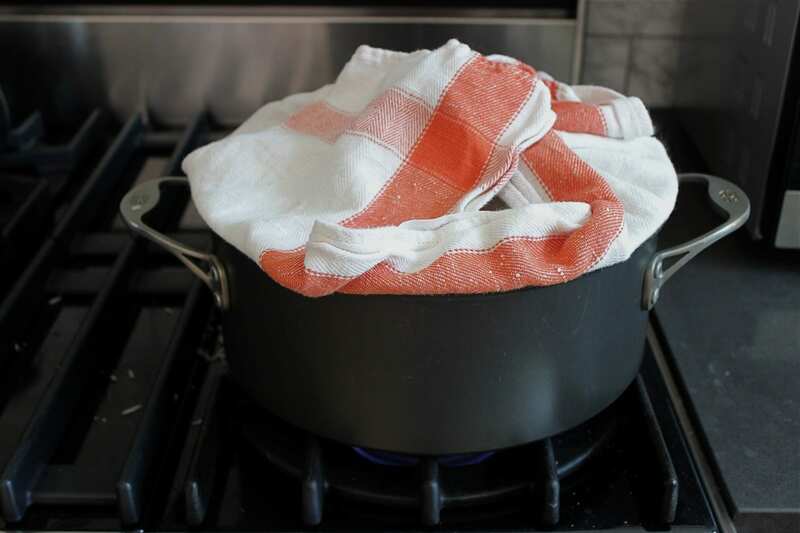 Cover the lid with a clean kitchen towel or a couple of layers of paper towel. This is to catch the condensation. Place lid firmly back on the pot. Cook for 10 minutes.4- With a spatula gently scatter the rest of the rice into the pot in the shape of a pyramid. This is to give the rice enough room to expand and lengthen. With the handle of a wooden spoon poke a couple of holes in the rice to allow the steam to escape. Don’t poke all the way down to the tahdig. Drizzle half of the melted butter a 2 tablespoons hot water over the rice. Cover and turn heat up to medium-high. Cook for 10 minutes. 6- Turn heat down to low. Place heat diffuser under pot. Cook for 40 minutes. 7- Turn heat off. Remove lid. If serving like a cake, place serving dish over pot and flip. Otherwise, set aside a couple of spatula fulls of rice. 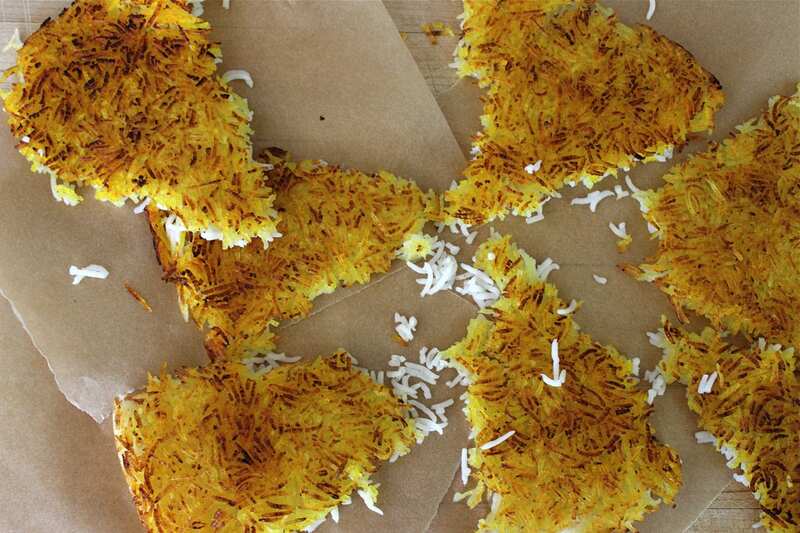 Scatter remaining rice on a platter and gently remove the tahdig. In a small bowl mix the saffron water with the remaining melted butter. Mix the reserved rice with the saffron water/butter mixture. (if not using butter just mix the saffron water with the reserved rice) Scatter the saffron/rice mixture over the white rice.6- Turn heat down to low. Place heat diffuser under pot. Cook for 40 minutes. Serve immediately. 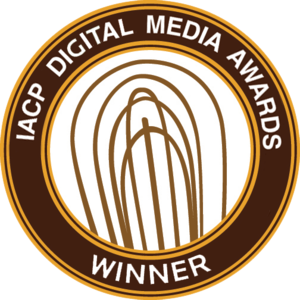 Enjoy and do a cartwheel for a job well done! The tahdig should be eaten right away. It does not keep. And frankly I’ve never had any tahdig left over. The rice will keep in the fridge for up to 3 days and can be frozen for up to 3 months. Your images are so beautiful! I have always wanted to learn how to make a good tahdig. Thank you!! Thank you Pamela! Please let me know how your tahdig turns out. Enjoy! No reason you can't use stainless, as long as it's a good quality and heats evenly. I use stainless for everything in my kitchen, tahdig releases just fine. Thank you for you comment, Anonymous. That's fantastic (and impressive!) that you can turn out a nice tahdig using stainless. 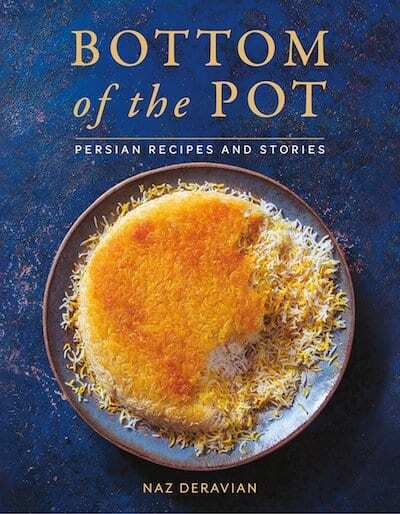 But, since this post is intended for people who might be new to the Persian method of making rice and tahdig, I would recommend using a heavy bottomed pot other than stainless. Thank you, thank you, thank you. This worked so well. After trying other recipes that didn't achieve the desired crust, this was perfect. I'm SO glad! There's nothing like a good tahdig! No, you don't pour it over the tahdig. 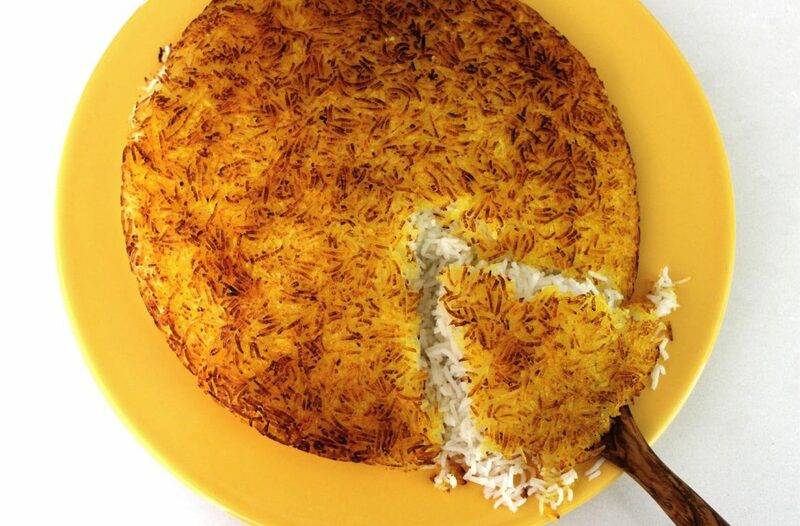 This step is if you remove the rice first and serve the tahdig separately. Not if you invert the pot. 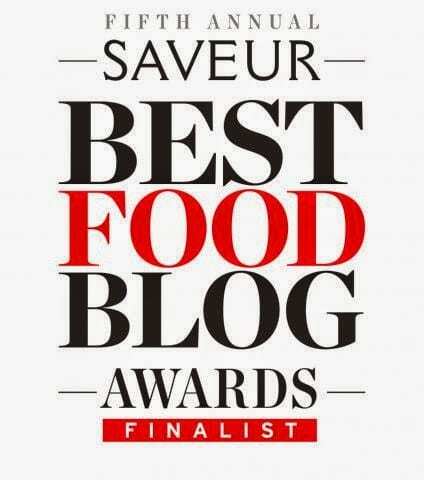 See the SERVING section of this post. I hope this is helpful! And feel free to reach out if you have more questions.